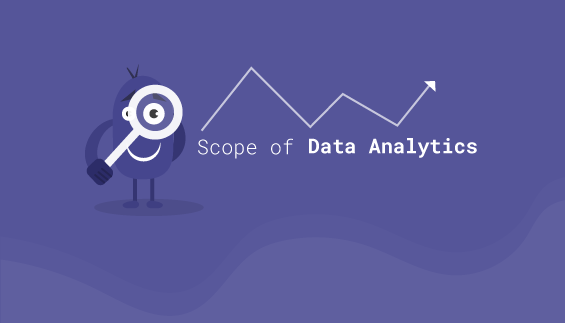 We have been hearing a lot about big data analytics and its varied applications in different industries. The question that has been raised by many is whether big data analytics is typically a system that helps the rich to generate more money. It is time to address this question and find out if big data analytics really has a positive effect on the society, on the masses. The problem is we are often not aware of many altruistic usages of technology around the world. This article will focus on some such fields which are likely to dodge the radar and remain unsung. Our focus will primarily be on India and it will hopefully hint at the global situation. Now as big data analytics training in Bangalore is preparing Indian analysts to take on the world, let us see how data can be used to solve our own problems. The use of analytics in healthcare sector has decreased the rate of mortality by several pointers. It is now possible to automatically warn the caregivers about specific problems – allergies or internal injuries that a patient might have. Analytics in healthcare has made diagnosis easier and more precise and medication more accurate. India’s union minister for electronics and information technology has recently commented on the importance of integrating AI and machine learning in the healthcare sector. Machine learning and natural language processing will make it possible to spread health care services to the remote corners of the nation where a doctor is hard to find. Traffic is a nationwide hindrance in India. In Cities like Delhi, Bangalore, Hyderabad and Kolkata road traffic costs dearly every year in terms of lost time, pollution and fatalities. Deploying big data analytics may mitigate the situation greatly. There has recently been collaboration between Intel and Tata motors in order to find ways around the tremendous hindrance caused by road traffic in India. We know how Google maps mark the highly congested roads red. This is an instance of real time data analysis to help us evade congestion. But can analytics be used to control traffic and reduce road fatalities? Intel has partnered with NITI Ayog to create data driven solutions to transportation, agriculture and healthcare problems. Microsoft Research India is working in tandem with Institute of Driving and Traffic Research in Delhi in a project called HAMS or Harnessing AutoMobile for Safety. This will detect condition of drivers using smart phones and data analytics. These initiatives are yet to show any results at large in the practical field but sooner or later we will see the changes. HR analytics is a life saving phenomenon for employers. Through the data driven insights employers or HR managers can control employee attrition. More importantly analytics helps them hire the right people for a job. This makes it easier for the deserving job seekers to be found. Apart from this big data industry is creating a large number of jobs around the world. The opportunities for young enthusiasts are numerous. Institutes of Big data analytics training in Bangalore, Delhi and other Indian cities are allowing professionals to get ready for the industry.